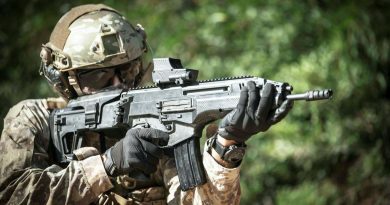 The F4 will also be capable to better engage the enemy, as it will be able to carry the new 1,000 kg A2SM air-to-ground modular weapon by Safran Electronics & Defense, as well as improved SCALP missiles and last generation MICA NG air-to-air missiles by MBDA. 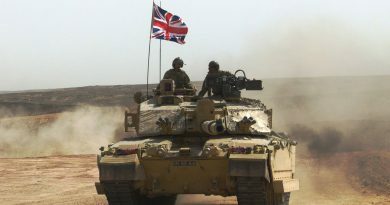 It will also be fitted with the new Talios pod, developed by Thales, which allows covering the entire critical decision chain from intelligence gathering to weapon delivery. The RBE2 radar fitted with the AESA antenna will feature improved capabilities, “while the SPECTRA electronic warfare system will be implemented, and thanks to its jamming capabilities it will allow us to stay ahead of our opponents,” the Minister said. The last pillar of the F4 standard is availability, “which is already very good, but can be further improved,” Mrs. Parly stated. “The F4 will include a new Prognosis and Diagnostic Aid System introducing predictive maintenance capabilities,” Eric Trappier, Chairman and CEO of Dassault Aviation underlined, adding that the new aircraft will be equipped with a Safran Aircraft Engines M88 turbofan fitted with a new engine control unit. According to the Minister the French Rafale fleet will be upgraded in order to add all possible evolutions and maintain the aircraft at the utmost level. She also underlined that deliveries will increase in 2022, 23 and 24, and that all the 30 aircraft that will be ordered in 2023 will feature all the F4 improvements. The full F4 standard should be validated by 2024, some functions becoming available as of 2022. The F4 standard comes from a collaborative work carried out by the Direction Générale pour l’Armement, the Air Force and Navy HQs and the Direction de la Maintenance Aéronautique, who worked together with Dassault Aviation. 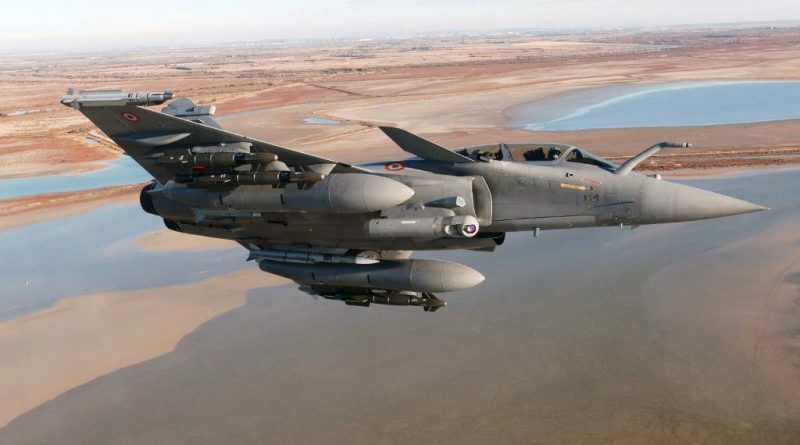 The F4 is part of the spiralisation development of the Rafale platform, and was launched only one month after the qualification of the F3-R standard. 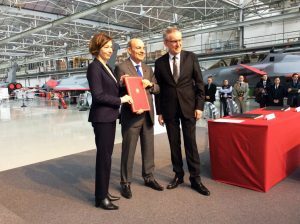 Not only the F4 standard will allow France to maintain its aviation combat assets at top efficiency, but it will also guarantee “that Rafale will remain a credible reference on the export market. Lastly, it confirms the continuous improvement approach and helps develop the manufacturers’ skills,” Eric Trappier added. 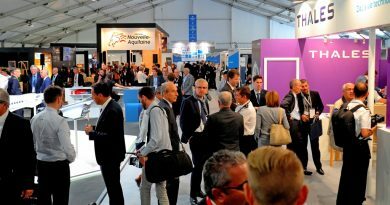 As for the economic impact of the Rafale F4, Mrs. Parly said that this represents some 2 billion Euro for the French defence industry and for innovation, the impact being not only for Safran, Thales, MBDA and Dassault, but also for hundreds of SMEs, start-ups and subcontractors, the number of direct and indirect workplaces being between 2,500 and 5,000. Stating that in the aviation business we must always look forward, Mrs. Parly said that the future is the SCAF (Système de Combat Aérien du Futur), the future air combat system, that France is developing together with Germany, and that will replace in the long term the Rafale.